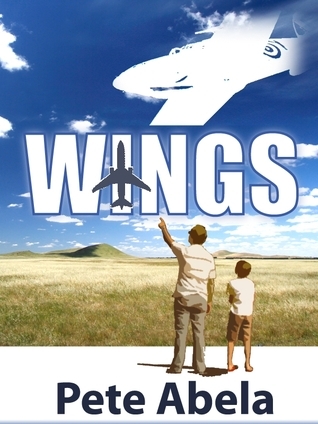 Synopsis- “Wings” tells the story of Walt and his grandson Scott, who both have a fierce longing to fly albeit in vastly different circumstances. Walt – who grew up in the depression – found out first hand that becoming a pilot takes sacrifice and tenacity. When World War II broke out he pestered the RAF for eighteen months before they finally accepted him. Scott spent his childhood listening to tales of his Grandfather’s aerial exploits and developed an intense craving to be a pilot. However, the number of people wanting to be a pilot vastly outweighs the limited opportunities on offer. “Wings” weaves together two tales: one set in war-torn northern England, and the other set in the modern-day Illawarra region of New South Wales. As Scott progresses, his grandfather declines – Walt loses his wife, his sight and his hearing – but throughout these difficulties is still there to offer support and encouragement. With insights into the modern aviation scene and life in the Royal Air Force of World War II, this is a must for anyone who has an interest in history, aviation or simply an old fashioned love story. Review- Wings is a charming story about Scott and his grandfather Walt who chase their aviation dreams during different eras. Walt pursued a pilot role through the Air Force during World War II while Scott pursues his dream job during modern times and ironically has a tougher time becoming a pilot than Walt did. Not only does Wings fall into the historical fiction genre but it also asserts an old-fashioned love story that reminds me of The Notebook. I particularly enjoyed reading Walt’s experience which spans most of the novel, from when he was a young lad, to when he first laid eyes on his wife Mary, his strong work ethic and determination to become a pilot and serve his country during the war. He and Mary fall in love and face the challenge of a relationship characterised by long separations and brief moments of quality time while Walt pursued his studies. Walt is a really likeable, kind-hearted guy who is always polite and treats Mary well. He seemed to have a lot of luck combined with his intelligence that helped him have a lot of work and aviation opportunities. However, there were times when I felt that things went a little too smoothly for him and perhaps would have liked to see a few more challenges thrown in for Walt so I could gain a deeper appreciation of his qualities under pressure. Scott on the other hand has to work extremely hard, working various jobs, borrowing money off his parents and sourcing various opportunities to study and learn aviation to master the role of a pilot. He also faces separation from his girlfriend Julie and takes a risk to fulfil his dreams. The story spans across the globe from northern England to the sunny Illawarra region, south of Sydney. Pete Abela has created a delightful story about a young man and his grandfather who fell in love and pursued their aviation ambitions. I experienced Wings to be an easy, warm-hearted read. About the author: I’m an author from the city of Wollongong, just south of Sydney in the state of New South Wales, Australia. For most of my adult life, I’ve been a left-brained computer scientist whose love of reading eventually led me to take up writing. Having surprised myself and those around me by getting Wings published, I’m now having fun dreaming up marketing strategies and publicity stunts – tasks I never could have envisaged doing ten years ago. I continue to stretch the boundaries of my right hemisphere and am now working to complete a second novel. My left brain hasn’t been totally neglected through this process. I work as an IT Manager in order to help keep my wife and four kids fed and clothed. When I’m not working, reading, writing or enjoying the company of my family, I like to sneak away for a bit of exercise – either tennis, soccer or a laborious run. Hi Jayne, Thanks for the review. I’m glad you enjoyed Wings. The Notebook is one of my favourite movies so it’s great that you found them to be comparable. I didn’t do it that way consciously, but it’s nice that outcome was achieved.